A roomy, refined and relaxed cruiser from Renault. If you want a sizeable SUV, but don't need seven seats, then consider the Koleos. When you’re presented with a car quite as large as the Koleos, you have to ask two questions. 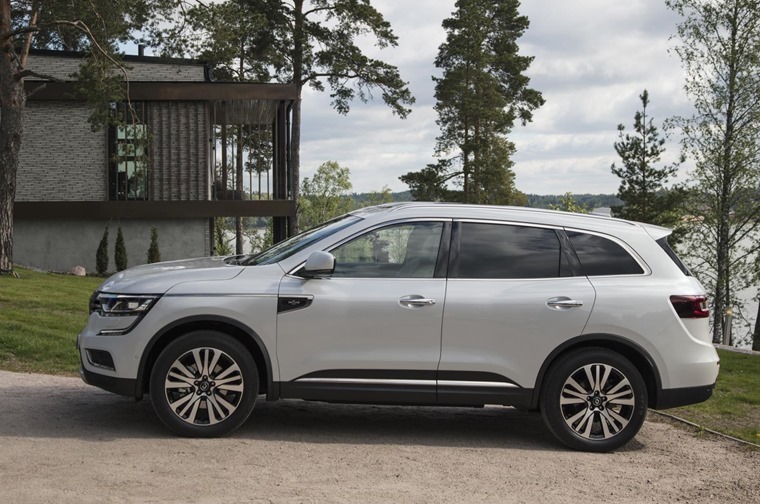 Firstly, why hasn’t Renault simply brought across the excellent Espace from Europe rather than building a new SUV based on Nissan’s X-Trail, and secondly, where are seats six and seven? No matter how long you look, you won’t find a second row of rear seats, as Renault is keen to emphasise increased comfort and space for the five passengers that the car is most likely to be carrying. It’s unusual in this sector, but it might just make sense. It’s certainly true that by eschewing the extra jump seats things have been improved for everybody else. 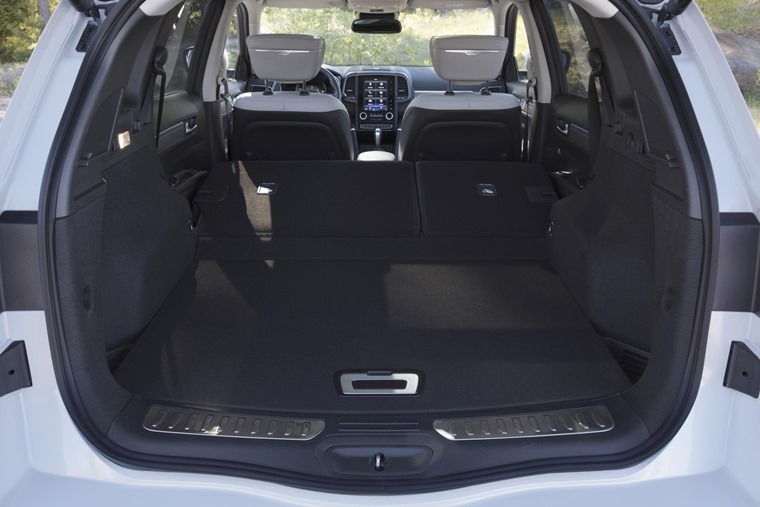 There’s acres of room in every direction for people in the rear seats, with more legroom than you might know what to do with. It’s the same at the front of the cabin, where driver and passenger are unlikely to ever rub elbows. 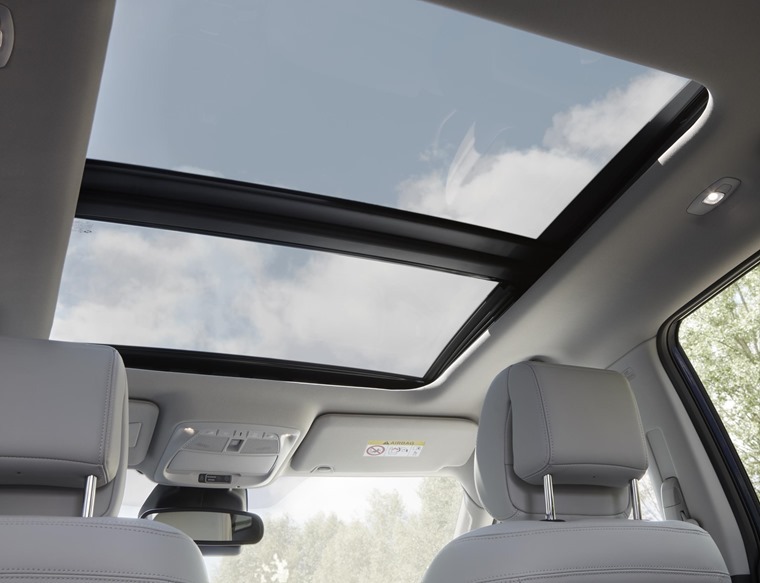 The panoramic roof eats into headroom just a little, so the very tall might have their hair ruffled, but for most it’s positively cavernous. As you might expect, given the lack of extra rear seats, the boot is also large, with a flat load lip when the false floor is in place. Seats up, there’s space for 475 litres of family detritus. 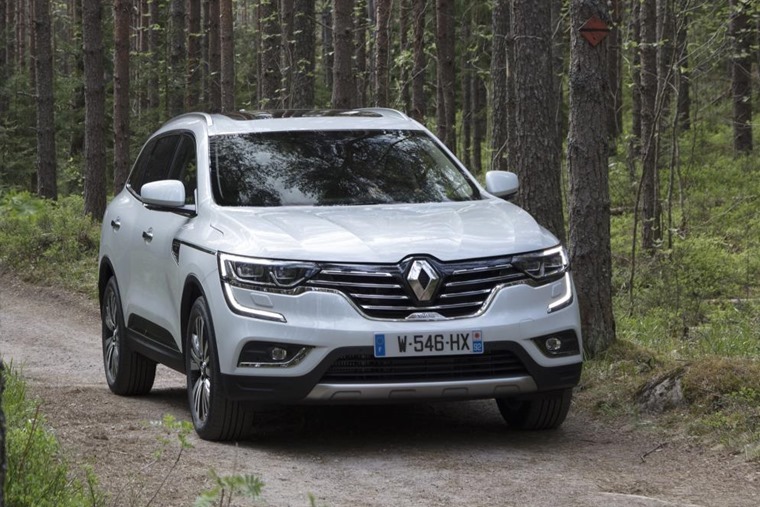 It’s also big on the outside, although the Renault design language means it looks softer than many other big SUVs. Instead of aggressive lines, there’s gentler curves and carefully shaped chrome detailing. Wrap around headlights stand out with distinctive daytime running lights, with a unique chrome strip that follows from the corner of the lens and continues on along the front wing and into the front door. No SUV of this size will ever be entertaining to drive, so Renault has [...] instead come up with a refined and relaxed cruiser. Things aren’t quite so well designed inside. The dashboard initially impresses, with a portrait-oriented touch screen dominating the centre stack, but that delight fades as you realise it’s all a little ordinary. There’s a lot of black plastic, even on this top-level Signature Nav model, and whatever material Renault has used for that touchscreen is by far the worst fingerprint magnet we’ve seen in a car. French design flair has gone AWOL for the Koleos, with there being little difference between this £30,000+ car or a Megane at half the price. There is plenty of equipment hidden behind the bland design though, with this top-of-the-range model including parking cameras, an opening panoramic sunroof, keyless entry, TomTom navigation with live traffic and speed camera updates, Android Auto, Apple CarPlay, an automatic bootlid with foot sensor, LED headlamps, heated leather seats and that large 8.7in screen. The instrument binnacle in front of the driver houses a digital display that can be personalised with one of four basic designs, although there’s little need to switch between different versions of a speedometer and rev counter. It’s not fully personalisable either, meaning attention is still drawn to the infotainment centre where some of the design is clunky - selecting a cabin temperature is a case of trial and error, and occasional changing of unrelated settings, as the system lags and fails to detect every press. Ignoring the tech and concentrating on the drive, it’s relatively good news for the big Renault. 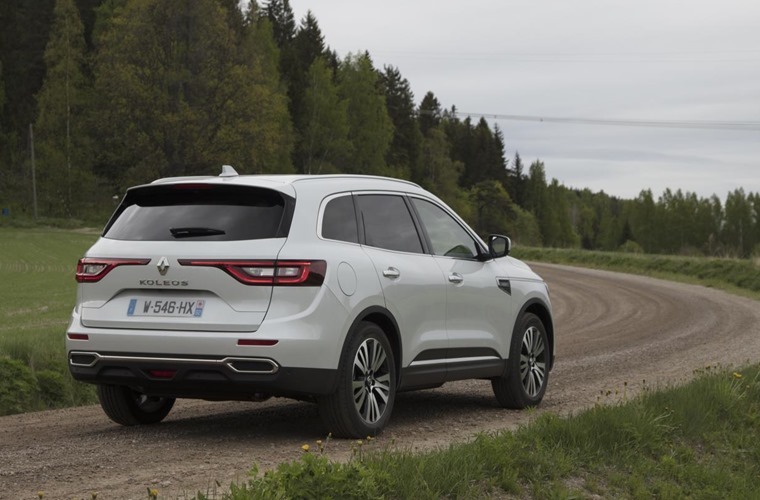 No SUV of this size will ever be entertaining to drive, so Renault has again given up on chasing apex speeds and on-the-limit adjustability and instead come up with a refined and relaxed cruiser. The 2.0-litre diesel engine generates 175bhp, which doesn’t sound too much, but it’s enough to allow the Koleos to keep up with traffic comfortably in all conditions. It’s a lovely engine, and suits the automatic gearbox fitted to the car. It’s not twin-clutch rapid-shifting unit though, instead taking a CVT gearbox and engineering the downsides out of it by introducing some artificial steps that simulate gear changes. It’s mostly effective, only letting itself down when pulling away from standstill at some pace. Other engine options extend to a 1.6-litre diesel, and that’s it. There is a choice of front or four-wheel drive though, and the all-terrain option makes a good stab at being an off-roader. Some very light work on a muddy hill defeated the car in 2WD mode but, after pausing and switching to 4WD (something the car can do automatically but we’d turned that option off) we were able to continue the climb and enjoy the view. Remain on-road and the light steering and good visibility make it easy to place and manoeuvre in towns and through country lanes, although the 19in wheels send quite a few potholes and surface cracks crashing through to the cabin. The lower spec model comes with smaller, and undoubtedly, more comfortable, wheels. As relaxed and good looking as the Koleos is, it’s not as good dynamically as most of its rivals, and short on seating compared to others. It also lacks the premium badge cachet that the heftier price tag demands. All of which means the Koleos may be a bit of a miss for some, but there’s enough about it to suggest that in the right spec and at the right lease price, it could be a hit.